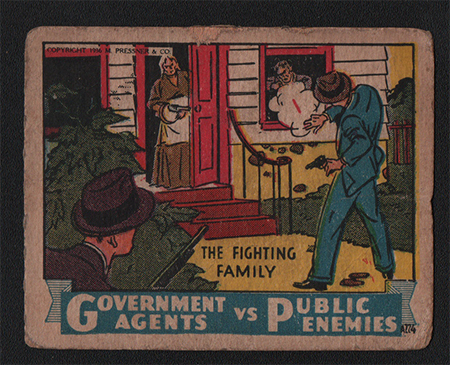 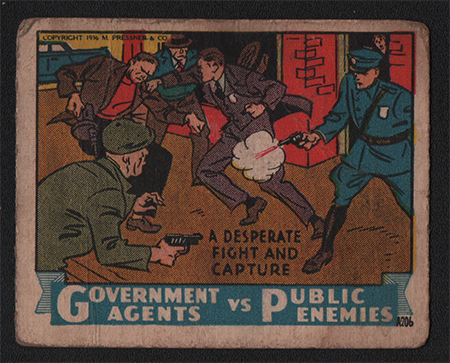 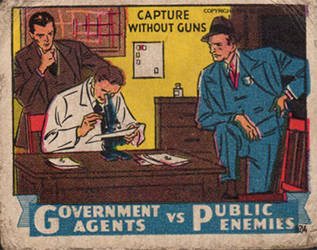 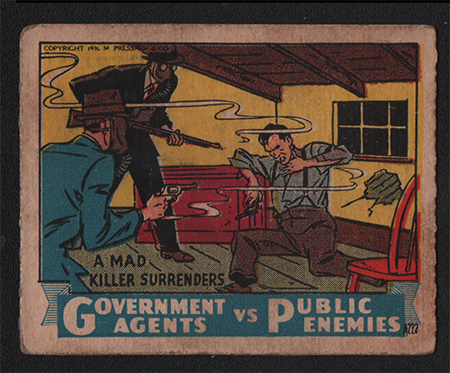 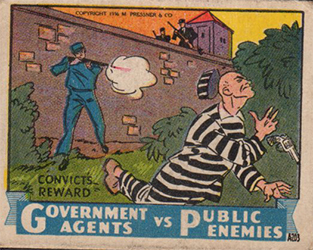 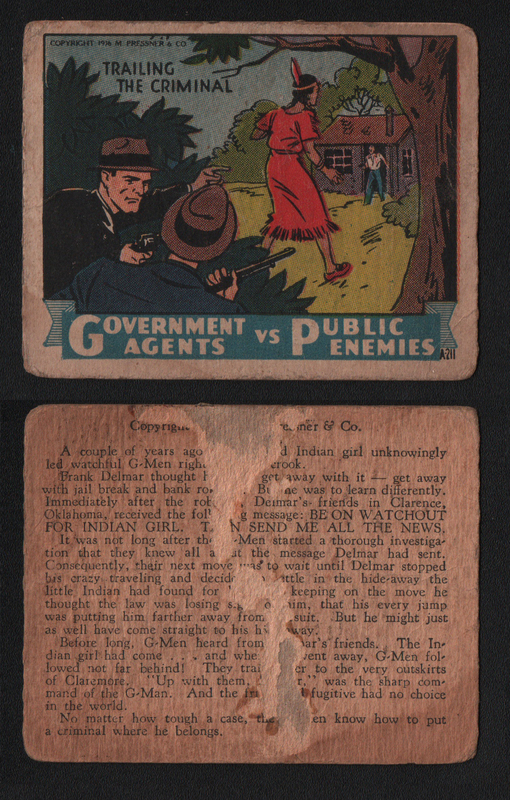 The 1936 M. Pressner & Co. Government Agents vs. Public Enemies features G-Men against killers and criminals. 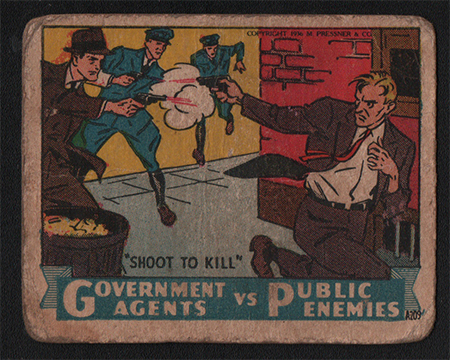 There are 24 cards in the set and the card numbers are A201-A224. 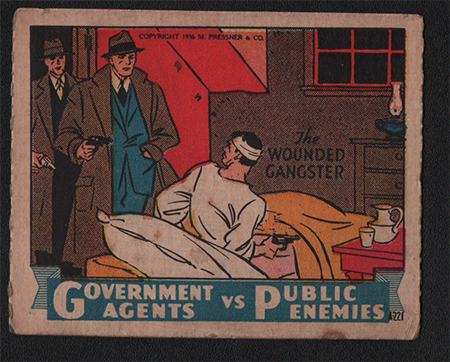 The fronts have color drawings of G-Men encounters with various criminals and the backs have descriptive stories. 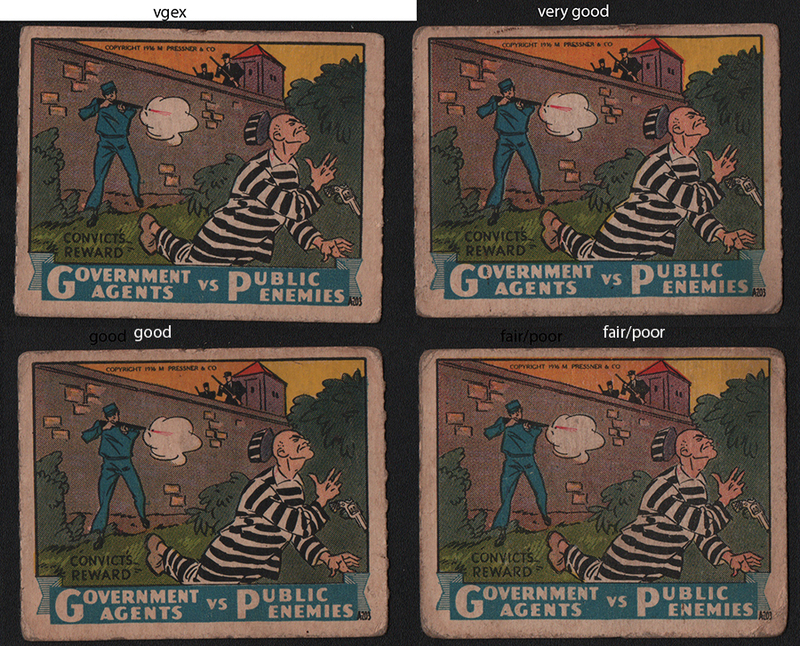 The cards measure approximately 2-3/8" by 3" in size.